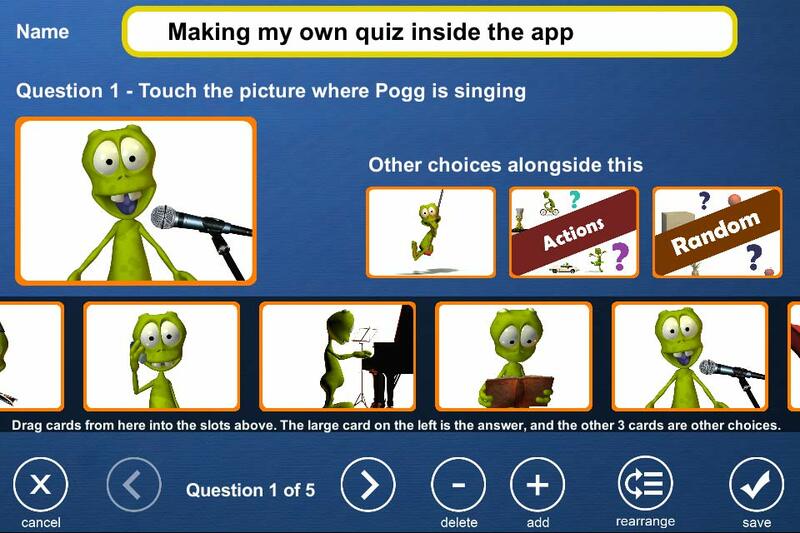 A flashcards and quizzing app designed to help kids learn language, including actions and spatial concepts. 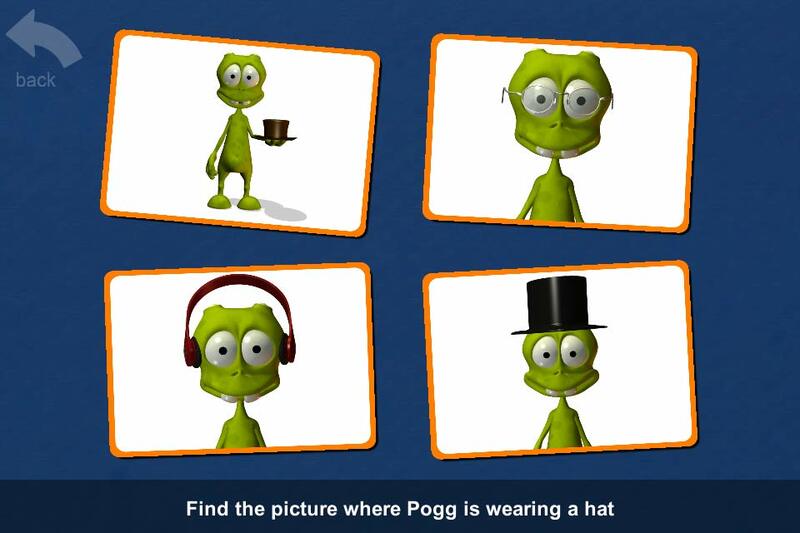 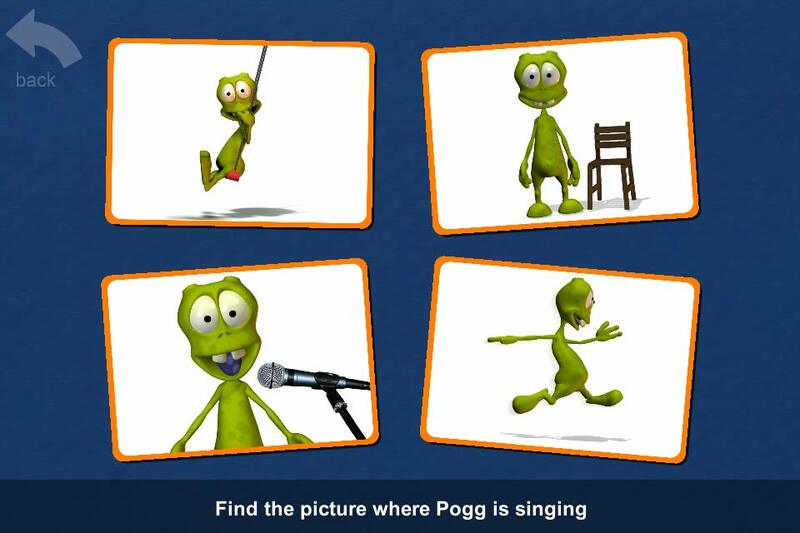 Pogg Cards is an app for kids to help them learn language. 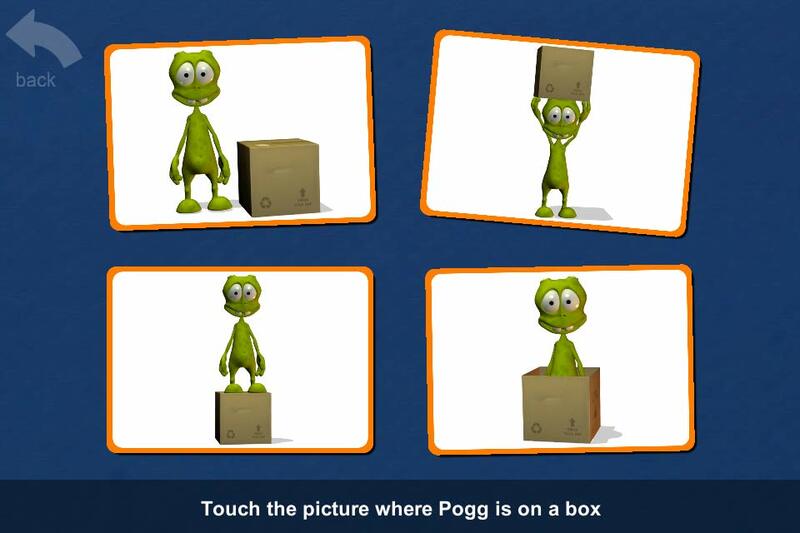 Unlike many flashcards and quizzing apps, Pogg Cards covers areas such as verbs and prepositions, as well as the ability to create your own quiz sets. 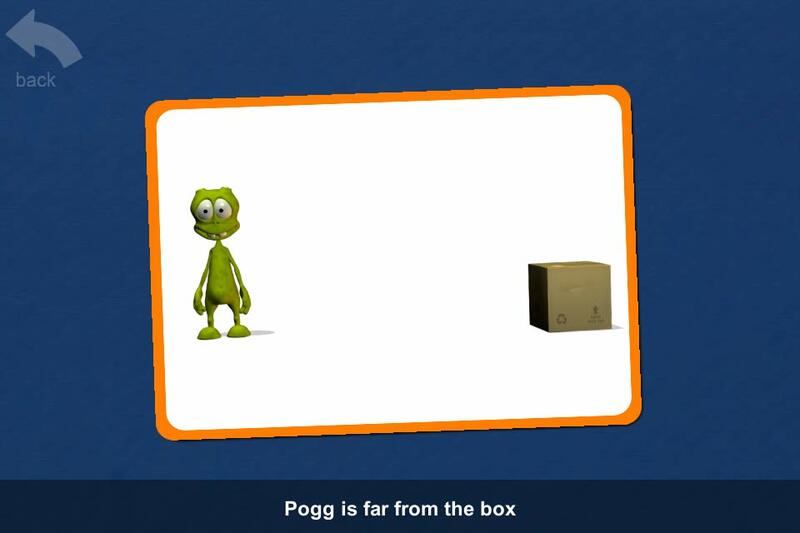 The success and moving feedback I got from the original Pogg, particularly from people working in special education and speech therapy (SLP) was my main motivation for Pogg Cards, and some of the features were designed in consultation from the community of Pogg users on its Facebook page.